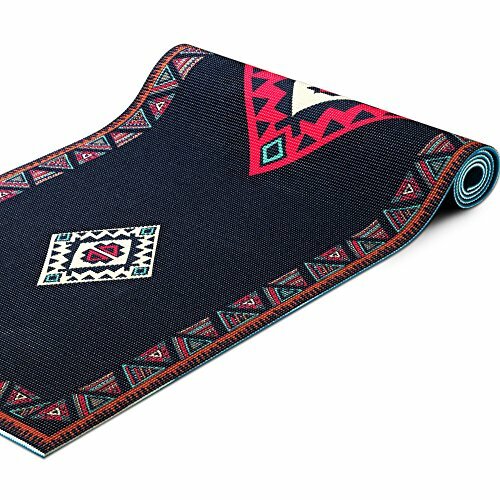 Are you looking for an extremely comfortable yoga mat? Does your current yoga mat slip and slide all over the place during class? Don't worry! 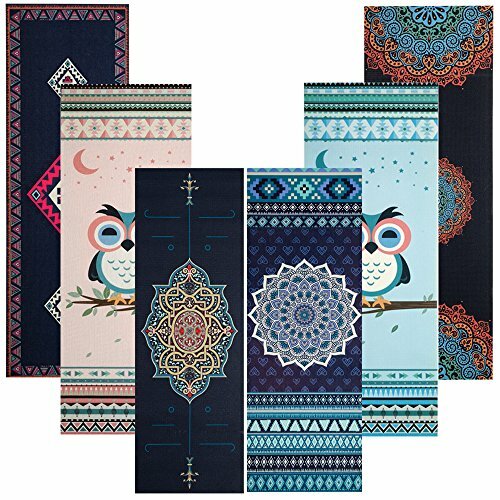 Chastep original exercise yoga mat is a good choice for you. 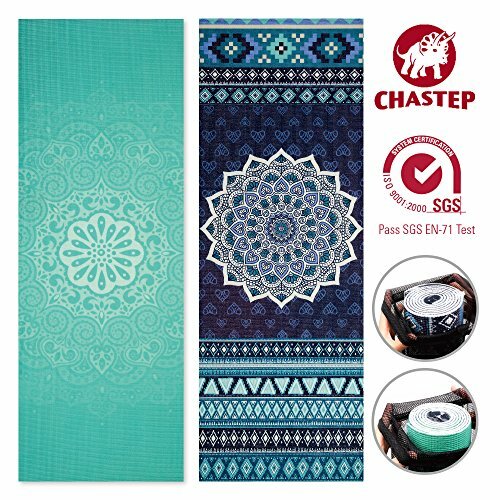 Chastep yoga mat is a sweat absorbent yoga mat and made of high density PVC foam. Durable for long time use. Thus you don't need to change your mat frequently. And Soft PVC enhences the cushioning for comfort and injury prevention. 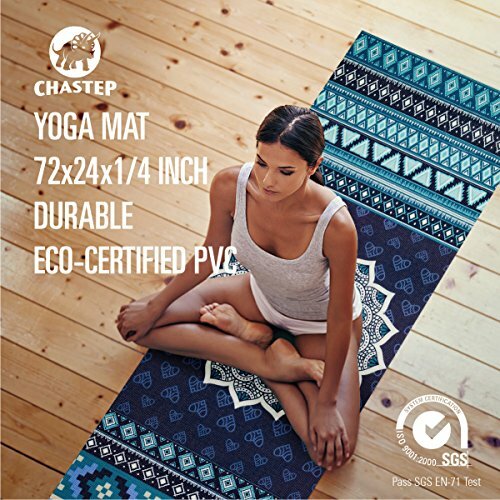 Chastep excercise yoga mat is great for all forms of yoga and fitness - including bikram, hot yoga, sweaty practice, pilates, and general exercise. Anti- Slip on both sides of the mat, bubbled foam & emobossed dots for added traction slip resistant, grippy even when wet from light perspiration. 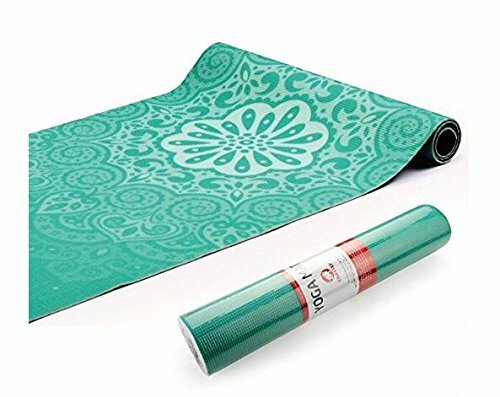 Nice color & Unique design on Chastep excercise yoga mat makes you feel the charm of yoga, and better understand the essence of it. If you are not satisfied for any reasons, simply return Chastep Yoga Mat for a FULL REFUND in good condition with NO questions asked. Our mission is to offer you the best quality product in the market and contribute every day to the satisfaction of our customers. We have established our factory since 1998. We really hope bring a lot of fun to you and your kids. If you had any questions please kindly contact with us. UNIGUE DESIGN: Mysterious Pattern and color of Mint Green place you in nature. Make you feel pleasure and relaxed both on your physical and mental. GIVEAWAY: Straps packaging, convenient to carry Chastep yoga mat. NON-SLIP YOGA MAT: Bubbled foam & Emobossed dots for added traction slip resistant, grippy even when wet from light perspiration. SUPERIOR COMFORT - 72" long 24" wide ensures comfort for people of all shapes and sizes. 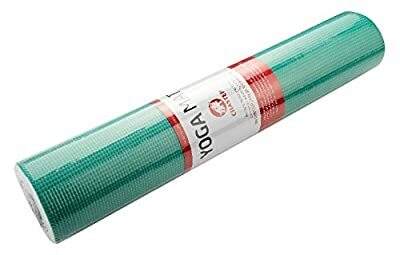 With the 1/4" (equal to 6mm )thick, Chastep yoga mat provides for a more comfortable workout by cushioning your spine, hips, knees and elbows on hard floors. ECO-MATERIAL: Our mats are SGS Approved and free from Phthalates, made of high density PVC. Durable and Washable, keeping you and your environment out of harm's way!